Bring together people that led/lead past/present experiments; discuss potential ideas for new experiments; identify big scientific questions that could be answered with active experiments, identify gaps. There is a rich history of space active experiments dating back to the 1960s. These experiments began early in the space age, where it became clear that the space environment was filled with plasma and could be rather harsh to astronauts and infrastructure. Active space experiments have had the triple goal of (1) probing basic plasma physics phenomena, (2) elucidating aspects of magnetospheric and ionospheric physics, and (3) understanding how to control the effects of the environment on space assets. Bombs, beams, heaters, releases, chemical dumps, plasma plumes, tethers, antennas, voltages are examples of active experiments spanning several decades of research. More recently, further interest towards active experiments in space has arisen, as called for in the 2012 Decadal Survey of the National Research Council, driven by important scientific applications such as magnetosphere/ionosphere coupling or radiation belt remediation. Contributions on new technological developments that could enable future missions are also encouraged. Identify the lessons learned from past (and present) active experiments. A number of tutorial talks on those missions will be presented at the workshop. Assess the current state of space-based active experiments. Identify new opportunities and collaborations for future active experiments. What is the science that could be pursued? What are the applications? What are the gaps that need to be filled before these new ideas could be mature? The workshop will comprise tutorial, invited and contributed talks as well as audience-participation discussion sessions. ATTENTION: We plan to devote one session of the workshop to the topic of the interaction of spacecraft with the ionospheric/magnetospheric environment, addressing both the observational and modeling aspects of spacecraft surface charging. 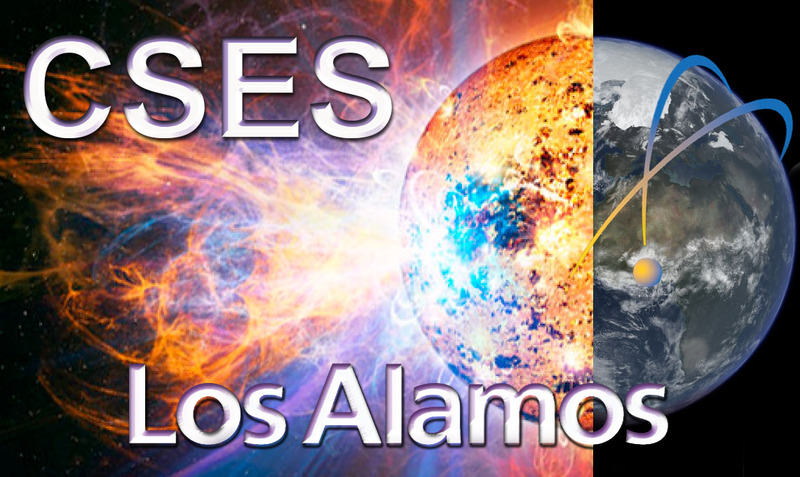 While the general meeting will be open to the public, a classified session could be organized at Los Alamos given enough interest. Participants interested in a classified session, please contact Eric Dors at edors@lanl.gov or 505-667-9023. This event is brought to you by the Center for Nonlinear Studies and the Center for Space and Earth Science at Los Alamos National Laboratory.